How about a career in Higher Education? The idea of staying at university after graduating isn’t going to appeal to everyone. But, if you’ve relished the campus environment and rarified atmosphere during your time as a student, have you considered a career in Higher Education (HE)? This doesn’t have to mean postgraduate study or the academic job market. Have you ever stopped to think about what goes on ‘behind the scenes’ at your university, or about all those people working in offices, libraries, student support centres? Here at Warwick, around two-thirds of our 5,500 employees are not academic or research staff. In other words, there are a lot of opportunities out there! Could there be something to suit you? What are the career options in HE? 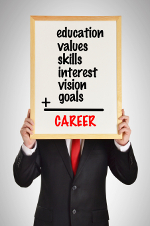 How would a job in one of these areas fit with your own skills, strengths and values? Why would anyone want to work in a university? Values can be an important driver for people working in Higher Education. Supporting the education and wellbeing of students, or the researchers whose work is making a difference in society, can be innately rewarding. On university campuses new ideas and intelligent debate thrive, and this stimulating environment doesn’t stop at the doors of academic departments . As university employees, we have access to libraries, sports, cultural and research events. We work in a people-centred and multicultural environment. We don’t earn the stellar salaries of some private-sector jobs, but there are compensations, work–life balance (flexible working, generous holidays etc). That’s not to say that this is a safe route to a lifelong career. Rather than the proverbial ivory tower, HE is a constantly changing environment influenced by government policy, global relations, funding changes, new ideas and technologies. And that’s what makes it interesting. What skills can you bring to a university? As a current student or recent graduate, you have the advantage of understanding what university is like from the inside. Your university works to ensure students have an excellent experience. As an employee you can offer your views on how to change things for the better. Your perspective is a plus. Throughout your studies, you’ve been in an international environment, working alongside a wide variety of staff, fellow students and, potentially, external contacts. You’ve been developing a range of skills which can be valuable. These will include communicating and presenting; thinking critically and strategically; problem-solving; developing persuasive arguments; team-working and collaboration; researching; writing; specialist technical knowhow. What else have you achieved that makes you stand out? Leadership positions? Awards? International experiences? Volunteering or community work? Mentoring? Teaching? Research projects? What challenges have you overcome along the way, and what have you learned from them? As a PhD graduate I have a passion for teaching and critical debate. Working in skills development and training in HE was an attractive prospect; it allowed me to focus my energies on supporting the education of others, to stay connected to the world of research, and to open up possibilities for career advancement without having to work seven days a week. As a student I learnt about how universities work. I volunteered at open days, invigilated exams, ran research events and (during and after my PhD), taught and administered undergraduate modules. I knew I needed a wider perspective so I found a part-time administrative role to develop my knowledge of some of the policies, procedures and politics that shape universities. This combination of academic teaching and administrative experience was really valuable in securing me a job in my desired field. Three and a half years, a couple of professional qualifications and one promotion later, this feels like the right path for me. Talk to staff at your university (we tend to be very happy to share our own career stories) – start to build your professional network from within. Get some experience. This might involve volunteering, a part-time job or work-shadowing; you might be a student rep. or even run for election as a Students’ Union sabbatical officer. If you’re a Warwick student, you can find campus job opportunities via the new Experience Pool website or Unitemps. And if you’re an undergraduate, the Warwick Undergraduate Internship Programme offers summer internships within our administration (watch out for the next recruitment round in April 2016). Look at job adverts to understand the job market and what skills and experience are required. Subscribe to the jobs.ac.uk ‘Jobs by Email’ service for professional/managerial jobs. Or search for job vacancies via specific university websites. Do a skills ‘gap analysis’. 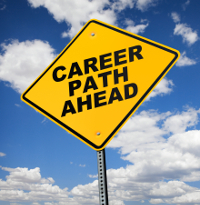 What stands between your current skill set and the requirements of your dream job? Talk to your careers consultant about how you could bridge that gap.